I have been very very lazy this weekend and haven't been on here. Partly because I had no time. Partly because I managed to hurt myself at softball. I played 2 games this weekend as we managed to get into the president's cup which means we came second in the first round of the competition. Unfortunately they managed to pulverise us. In the process of pulverising us I pulled a muscle in my leg and have a nasty bruise on my knee from the ball. Then on Sunday I managed to slide into second base and landed on my wrist. It's not broken but it is throbbing with the pain. It makes lifting or holding anything with my left hand very sore. Thankfully it is my left hand. Away from my life and into stitching. I have actually managed to stitch, even with my wrist killing me because I am right handed and it is possible to. 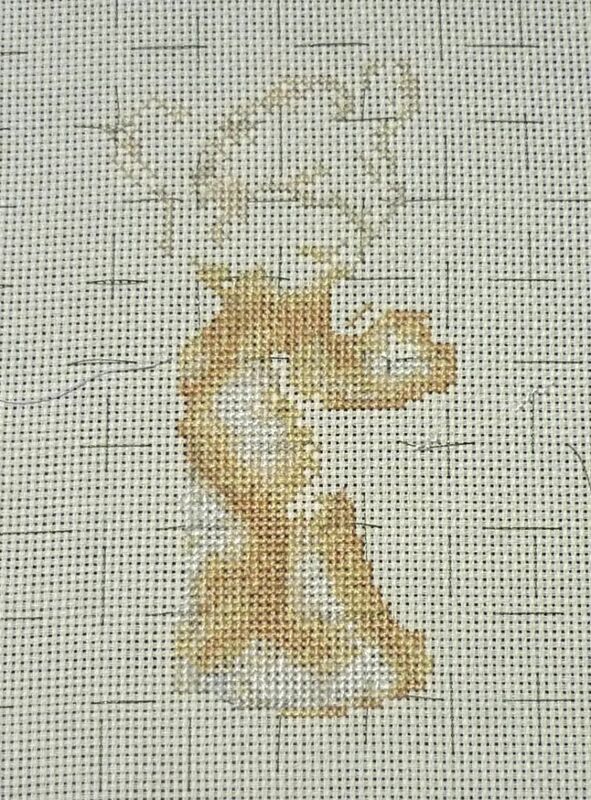 Here is an update on Lickle Ted I love the fact that you can see the shape really coming, This photo is really really really bad but I can't seem to manage how to get a decent photo. I also managed to do some more on To Have and To Hold. 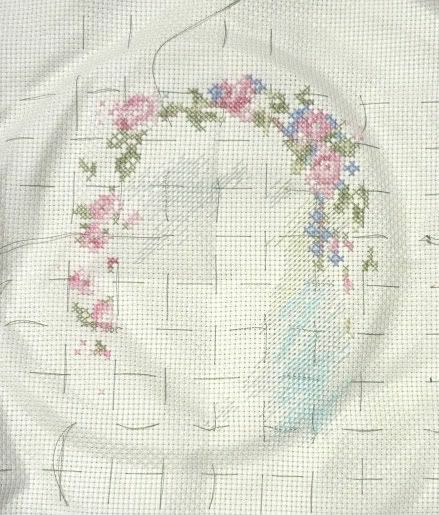 It's almost at the point where it's only backstitch left and that part will be the hard part! It uses different thicknesses for different lines and is much more complicated. There are also a lot of french knots but I am debating swapping the french knots with beads it just requires some thought. I am going to go searching through my stash, because I'm in the mood to do some knitting so I am thinking of making some more of the little toys but I just have to work out which one. That does require leaving the computer for a little while to get it all organised. So I am off! Frogging... rip it rip it rip it!